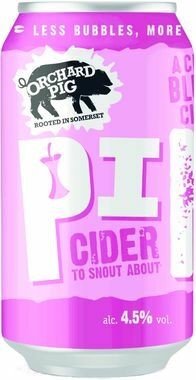 Thank you for enquiring about Orchard Pig Pink Cider, Can. We have received your enquiry and our team will be in touch shortly. This crafty cider is excitingly sour rather than sweet and extremely refreshing. Cooking apple flavour with a hint of warming spice. Made from the purest spring water, Rekorderlig Apple cider is best served over ice for a crisp, cool and refreshing experience.